Specially crafted in tow zones Bottom and Top to Cover entire body except face and head. 100% Shock Proof construction with Teflon coated heating element. Four way controllers with two-Position power-off system. 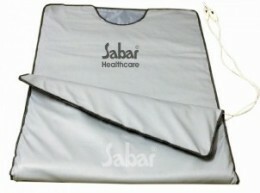 Sabar Sauna Blanket provides optimum therapeutic heat during Treatment. Anti-Cellulite Treatment, Body Weight loss and Detoxification program at home. 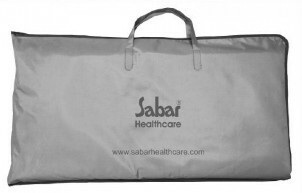 Sabar Body Wraps are manufactured to the highest standards and are inspected and tested to ensure safety, comfort and reliability. Other Heating Products for Commercial use in Body Weight loss, anti-cellulite and Health and fitness centers. 1) FLTR 3230 - Set of 3 pcs, - Part 1 - Covers Abdomen, Part 2 & 3 covers Thighs - Operating Voltage 230 V. AC. 2) FLTR 5230 - Set of 5 pcs, - Part 1 - Covers Abdomen, Part 2 & 3 covers Thighs, Part 4 & 5 covers Arms. - Operating Voltage 230 V AC. 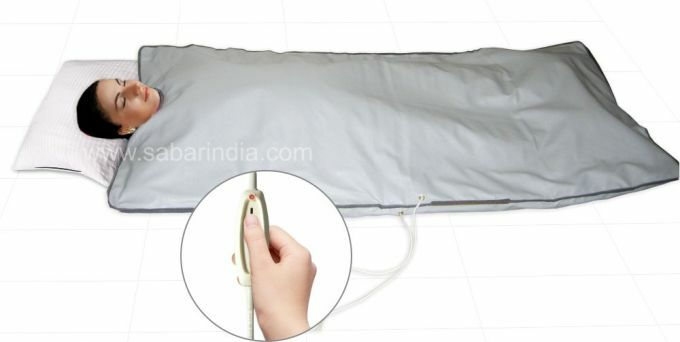 3) FLR 370 - Set of 3 pcs, - Part 1 - Covers Abdomen, Part 2 & 3 covers Thighs - Operating Voltage 70 V. AC. These products can be searched by keywords: Losing weight, Sauna Slimming body Wrap, Treat cellulite, Muscle relax, Improve metabolism, Accelerates metabolism, Break the Fat cells quickly, Reduce Weight and Inches, Strengthen muscles, Detoxify & Keep Beautiful skin, blood circulation, Cell functions activation, Reduces fluid retention, Eliminate toxins, Improves skin elasticity, Help to reduce stretch marks. FLTR 1230, Sabar Sauna Body Wraps, Heating Treatment, Melts extra Body cellulite, Weight loss, Maintain body fitness, Revitalizes body, Detoxification, Muscle Toning etc.